The list of new Kyocera products that made their debuts lately also includes the E1000. The handset is designed for CDMA2000 networking , but it doesn’t support EV-DO standard . It is packed in ther folder -style form- factor with the external display . The E1000 is meant for the users of voice services only, not data . Thus the manufacturer promises to set a low price for the model. 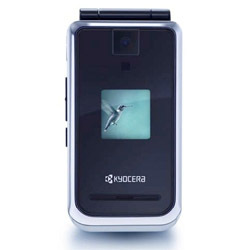 Kyocera E1000 is expected to become available in local stores this summer.